Happy Skin <3 Sanrio celebrates the gift of happiness. 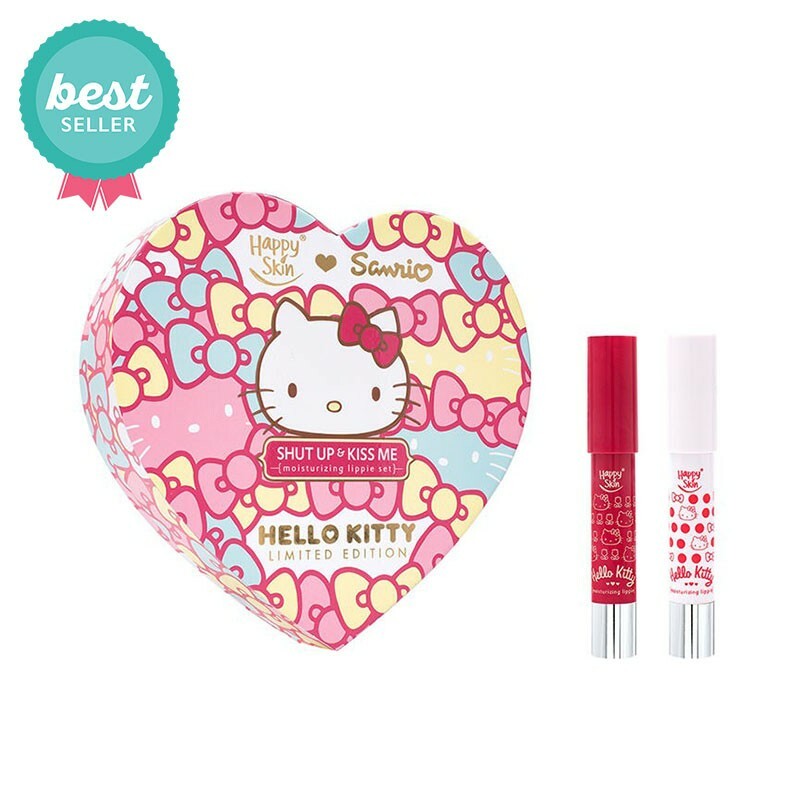 Through Sanrio's endearing characters and Happy Skin's skin-caring makeup, a small gift can bring happiness to everyone of all ages. Small gift, good skin, big smile. Whether torrid or tame, your lips will say it all! 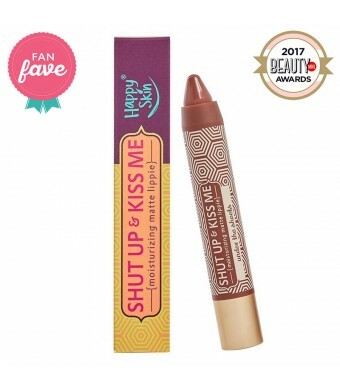 This Happy Skin Shut Up & Kiss Me Moisturizing Lippie is sure to help you make that smackin' statement. Highly pigmented and moisture-packed, this lippie glides on irresistibly smooth-without the stickiness! Swipe on a delicious apple pie color with Hello, Hello Kitty, or feel extra pretty in Best of Friends, a blushing rose hue. This lippie offers three-fold "lip service": the shine of a gloss, the pigment of a lipstick, and the hydration of a balm! Spoil yourself with Shea Butter & Collagen to keep your lips in lip-lockin' shape! Twist the body of the lippie to release the product. Line the borders of your lips to define your lip shape then fill in the lips with color to create a creamy, rich pout.